You rarely hear a change this abrupt–it sounded like the people who were presenting the newscast at the top of the hour didn’t even know what was coming until someone in master control broke in and stopped the action. 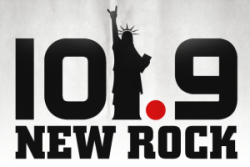 That’s really rare–you usually find a station announcing it’s changing, thanking the listeners who liked the old lineup, then going into a day or two of stunting to blow off the old audience before starting the new format to rebuild with different demos. This isn’t a well executed flip, regardless of whether it fills a format niche likely to be lucrative (and you can argue either side of that issue). Will the actual permanent format be done better? Hopefully for their sake, they’ll handle it better than they did the previous flip when current owners took over last year. The music playlist was virtually imported from WKQX/87.7. WEMP had become highly automated over the past few months, so Daniela Bilotta and Gene Micheals were already in the middle of the combined WIQI/WEMP staff meeting that turned into a mass firing. That newscast was not a live one – note the lack of a time/temperature check by either anchors. Oddly enough, everything BUT the goodbye message was purged from WEMP’s automation system. The “goodbye” accidentally fired as a segue in-between songs as late as the 4pm hour, but was quickly swatted by whomever was running the audio board. All in all, the product is actually decent. But the way it came about is depressing on all levels. I was wondering why there were all sorts of technical difficulties this morning.. like half the mics got reposessed, the traffic guy jumped ship already, etc etc. At least there’s an explanation! I loved RXP, but now I will definitely miss having round-the-clock news. 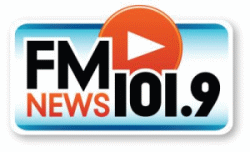 I know Merlin wanted to get this new format up and running asap but they could’ve at least gave the staff and listeners of FM News a proper farewell and thank you. The way they just pulled the plug just shows how corporate and cold radio has become. This is abrupt, but isn’t the most abrupt sign-off, a former talk station in Philly, 96.5 WWDB didn’t even get to say goodbye to the listeners, after the morning news show, there was a synthesized voice counting down numbers until the new format.